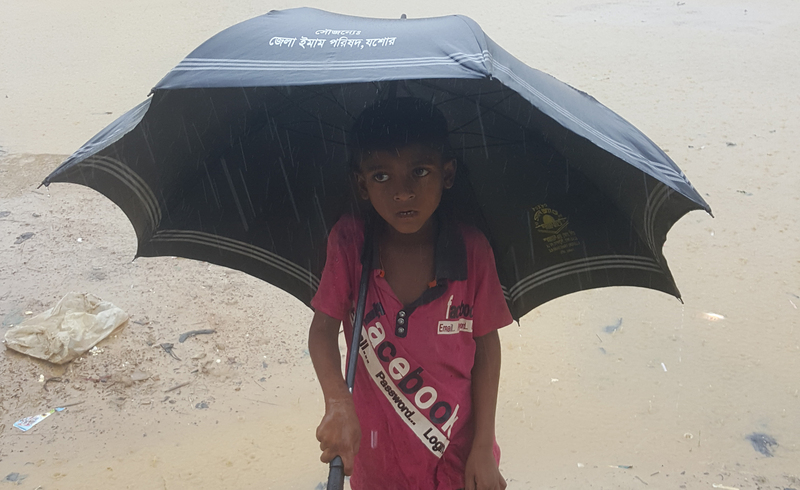 As bad luck would have it, this year’s monsoon in Bangladesh has been particularly heavy – which is nothing but bad news for those who fled Myanmar in fear of persecution. Concern has a strong presence in the camps of Cox’s Bazar and we spoke to members of our emergency team there to get the latest update. 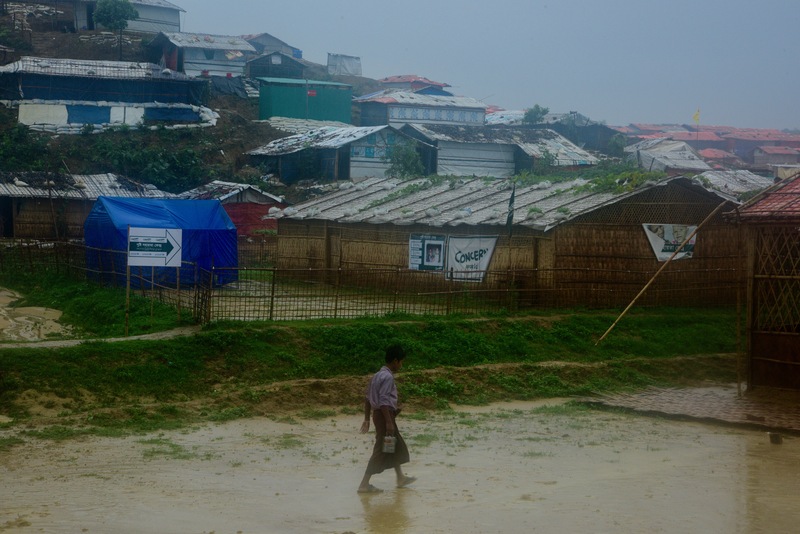 “We’ve had more than three times the normal rainfall for the month of June… and we’re only three weeks into the month.” Those are the words of Gillian Boyle, who is tasked with coordinating logistics for Concern’s operation to support Rohingya refugees in Bangladesh. 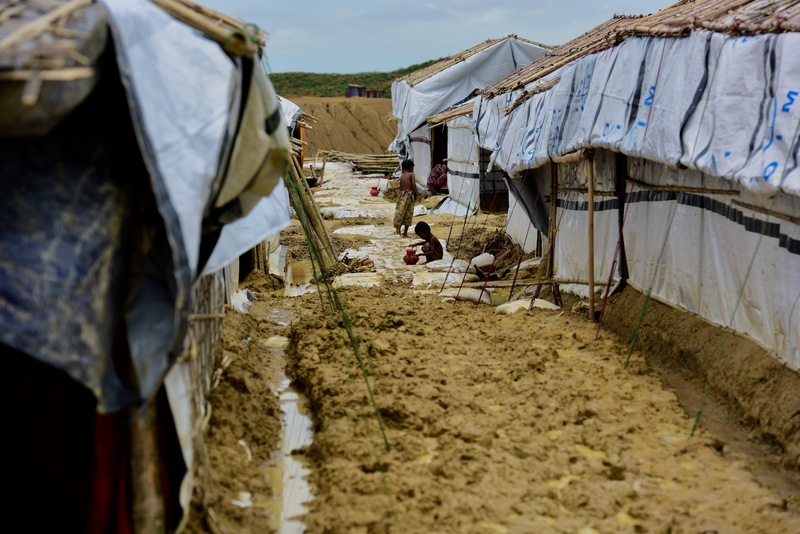 It’s early in the monsoon season, and over 800,000 people are stranded on the muddy hills of Cox’s Bazar, just across the border from their home country of Myanmar. “It’s vast – I’ve never seen anything like it,” Gillian said this week. “Plastic and bamboo shelters as far as the eye can see.” She has worked in some of the world’s most challenging locations. Those temporary shelters were never going to be enough to cope with the monsoon. Despite desperate efforts at reinforcement, nearly 20,000 people have once again been displaced, this time by landslides, wind and torrential rain during the month of June. July is traditionally the month when the rain is heaviest — over three inches falling every day. The heavy rain has also made accessing the camps difficult, as part of a paved road built to facilitate relief efforts was washed away when culverts were overwhelmed and collapsed. Even the best constructions are not immune – one of our nutrition centers was recently swamped by nearly 30 inches of water, streaming like a river down from the hill sides where household shelters are positioned perilously, after a day of particularly heavy rain. Gillian, her team, and volunteers from the camp will dismantle the structure and rebuild it again – three feet higher than before. Nearly 50,000 young children have been screened by the Concern team, with nearly three quarters of them suffering either moderate or acute malnourishment. Their guardians are instructed in basic treatment and given supplies of high protein food. As latrines flood and collapse, the risk of water borne infection will be a major issue in the months ahead. Children are always the most vulnerable. A new extension to Kutupalong camp is almost finished and many families will be relocated to safer ground. 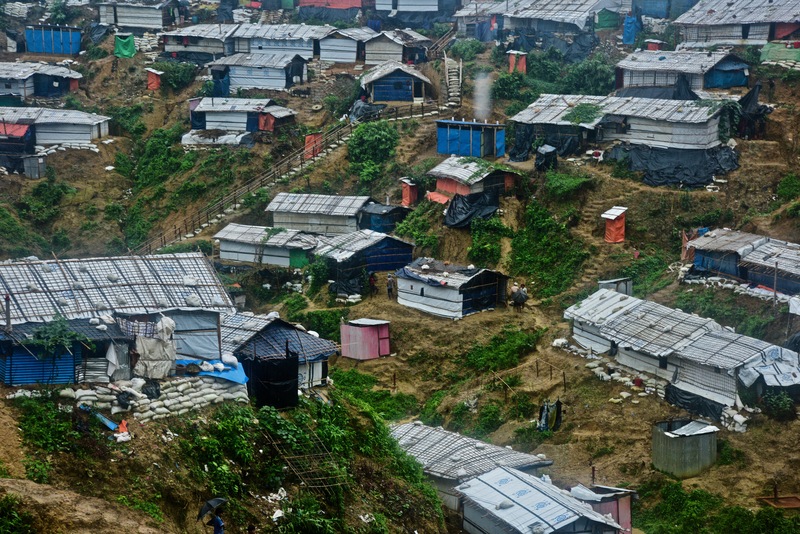 The monsoon and cyclone season ahead though, look decidedly grim for the conflict-traumatized Rohingya of Cox’s Bazar.